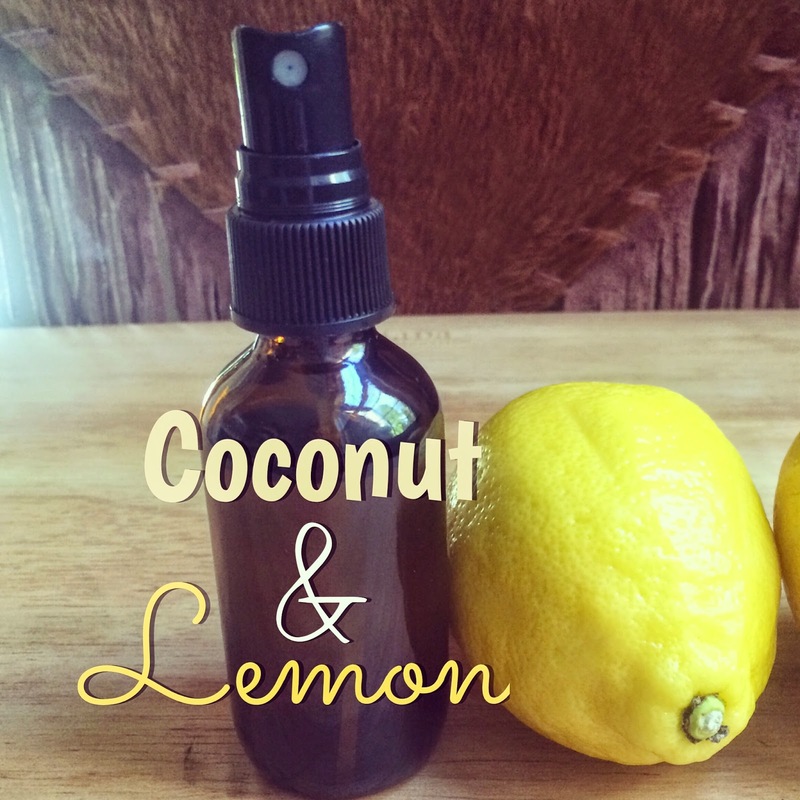 I created this recipe a few months ago using my handcrafted calendula oil, beeswax, mango butter, cocoa butter and pure lavender essential oil. I used a lavender bar shaped soap mold and the bars turned out so adorable and just the right size. Calendula oil is super easy to make and is good for a lot of different natural beauty products. Click HERE to be taken to a tutorial on how to make it. You can find these soap molds online and at a few stores that sell soap making supplies. 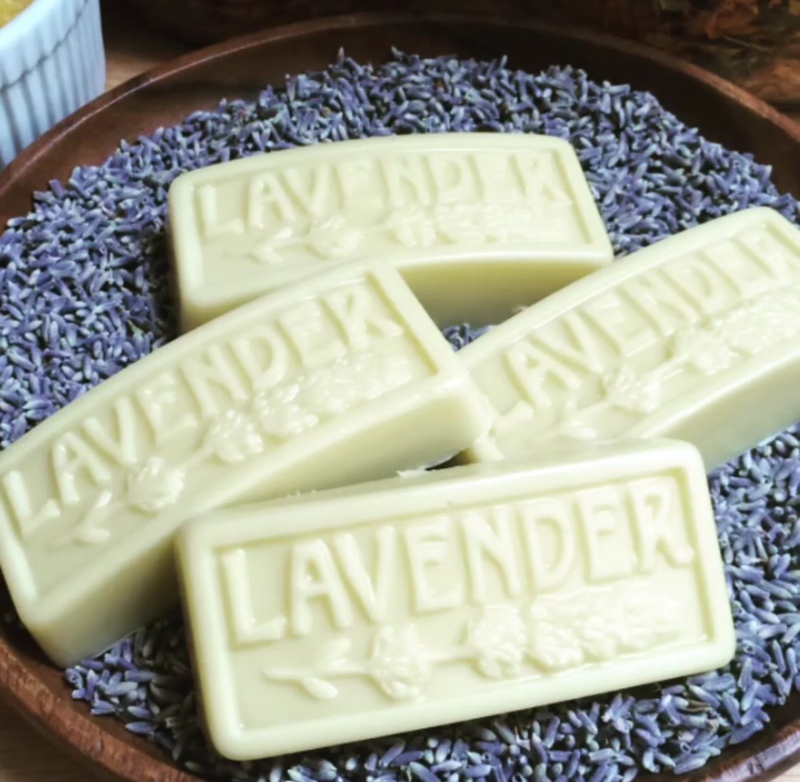 I love the lavender bar mold so much. I have a bumble bee mold as well. They cost around $8 each and you can use them over and over! I buy my beeswax from Mountain Rose Herbs in convenient pastilles that makes measuring out the beeswax super easy. You can find beeswax in pastilles and small bars HERE. You can purchase lavender essential oil from Mountain Rose Herbs too. Heck, while you there, pick up some cocoa butter wafers and mango butter (wink wink)! Head over to Mountain Rose Herbs (Click HERE) for the finest Certified Organic Mango Butter!!! "Now certified organic! Expeller pressed and refined from the seed kernel of the Mango tree, this highly prized butter is an exceptional quality base ingredient for body care products and soap making recipes. Mango butter has a composition resembling Shea and Cocoa, with a slightly different fatty acid content. Mango butter smells slightly sweet and fatty in its natural form; the refined butter that we offer smells very mild, lending itself well to incorporation within cosmetic and body care creations. Add the beeswax pastilles, cocoa butter wafers, mango butter and calendula infused carrier oil into a glass measuring cup, placed in a simmering water bath. Occasionally stir ingredients until melted. Remove from heat and stir in the essential oil. 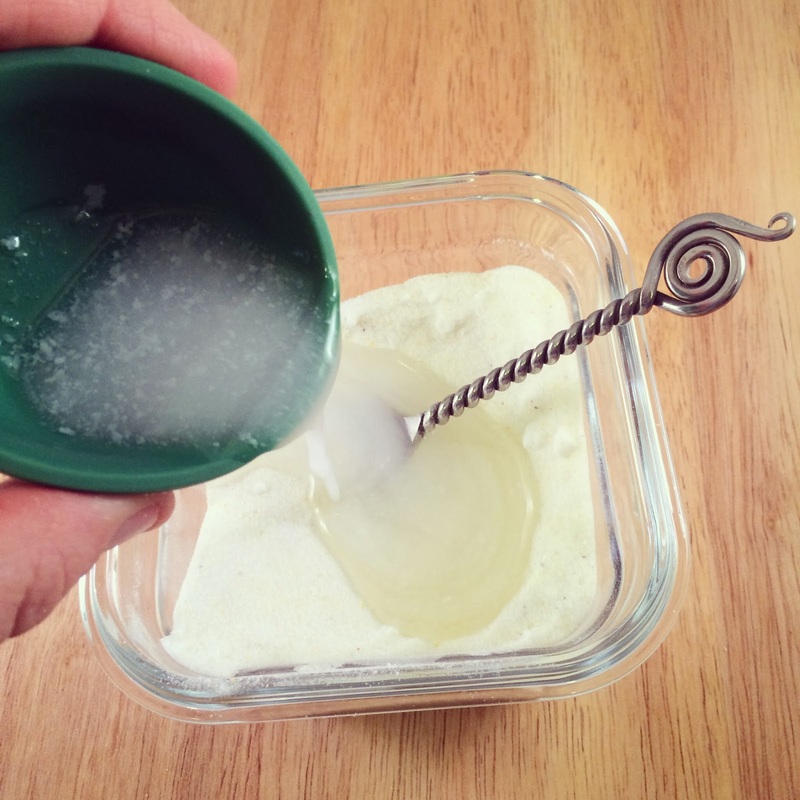 Carefully pour the hot mixture into the cavities of your silicone or soap mold. Allow to harden to room temperature. Pop out the lotion bars and store in tin, metal, or glass containers at room temperature. 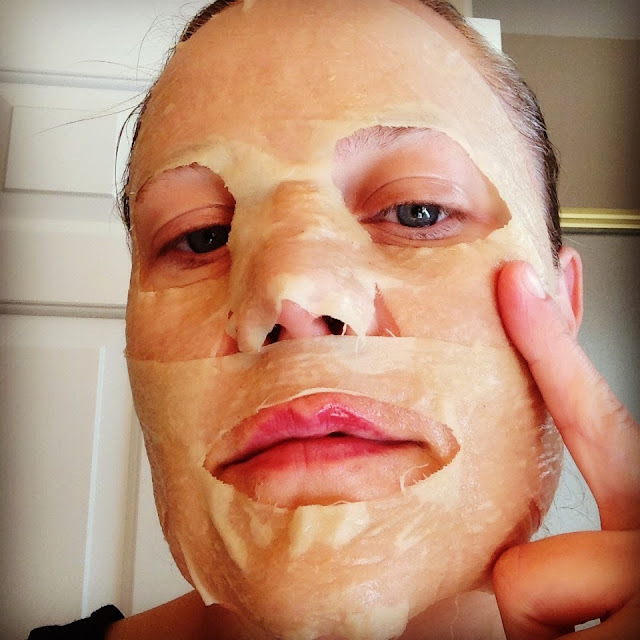 One of the latest and greatest beauty trends is the one-time-use treatment infused cloth facial masks that are popping up with all the major beauty brands. 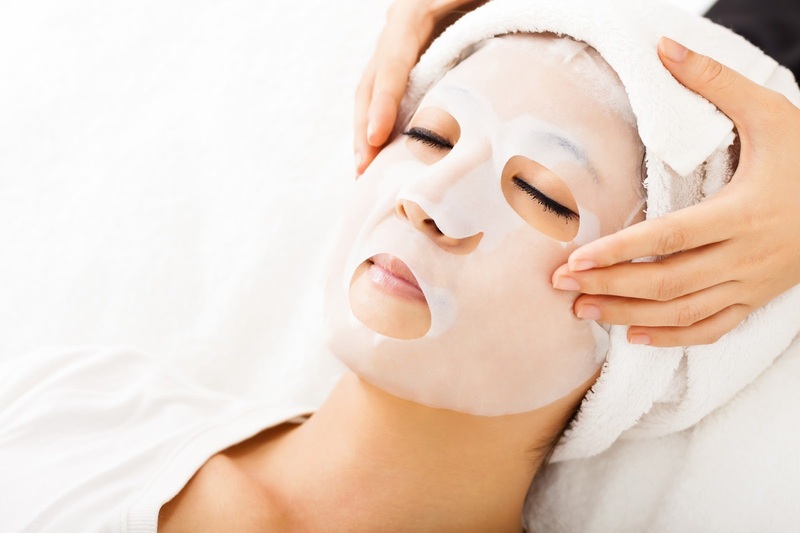 They are worn on the face for about 20 to 30 minutes and can help rejuvenate, hydrate, soothe and soften your skin. They can also be pretty expensive! I have seen some of them go for as much as $20 each. I was at the mall a few weeks ago and was talking with a sales associate at a particular beauty counter and she offered me a free sample of their super expensive cloth facial mask. 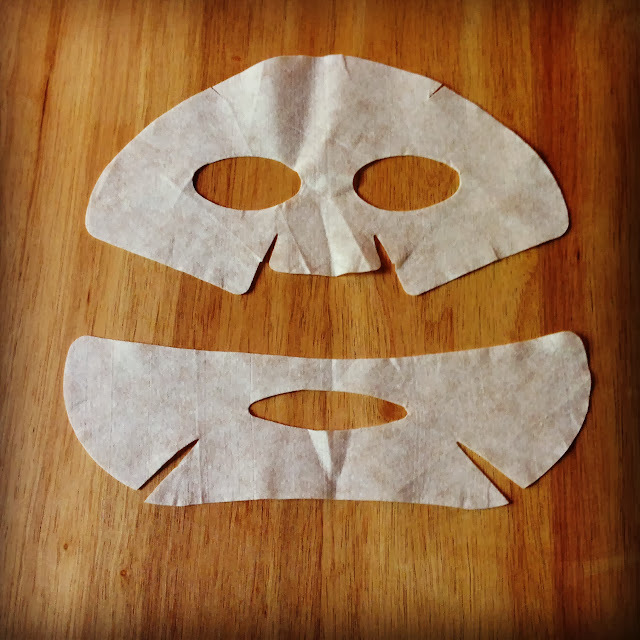 These instructions will give you two re-usable cloth face masks. 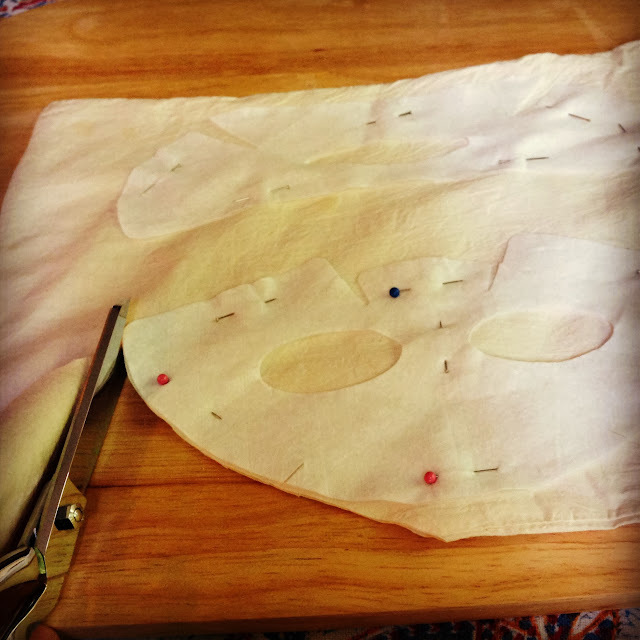 Here is the deal, I was only interested in using it as a template to build my own re-usable cloth face mask. The particular product I received was chock full of questionable ingredients that I would never put on my skin. I gently washed it to remove the infused serum and hung it up to air dry. I use organic cotton produce bags to store my fruits and veggies and decided that I could part with one of them in order to fashion my re-usable face masks. I made two sets of the face masks out of one bag. The photo above shows the free cloth face mask that I received from the beauty counter. I think it is made from rayon or something synthetic. 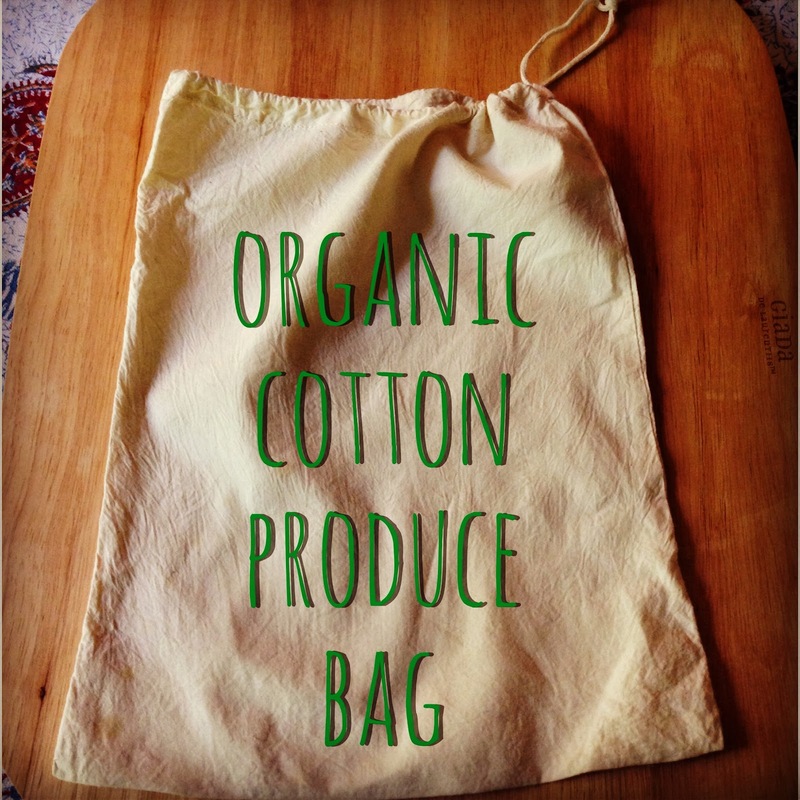 I simply pinned it onto my cotton produce bag. This way I was able to get two sets out of it. I cut around the pattern. Pretty easy!!! 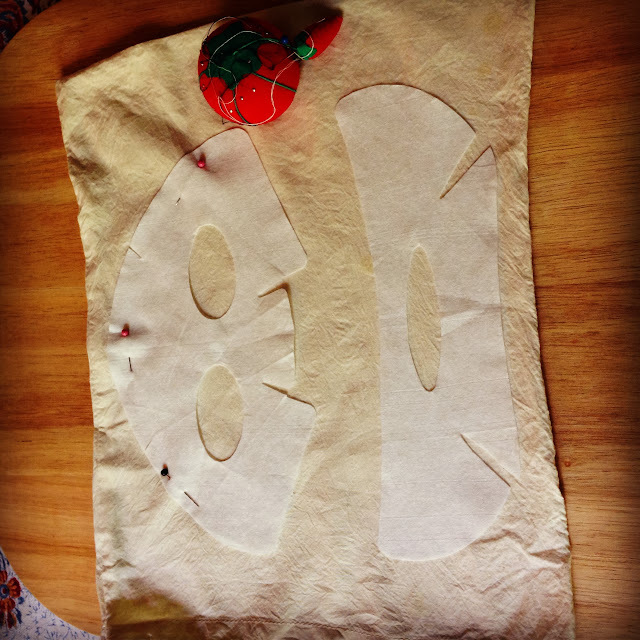 Two re-usable organic cotton cloth face masks. Yeah!!! Yeah!! Two sets of re-usable organic cotton cloth face masks. Now I am ready to mix up a treatment formula to infuse the mask with. 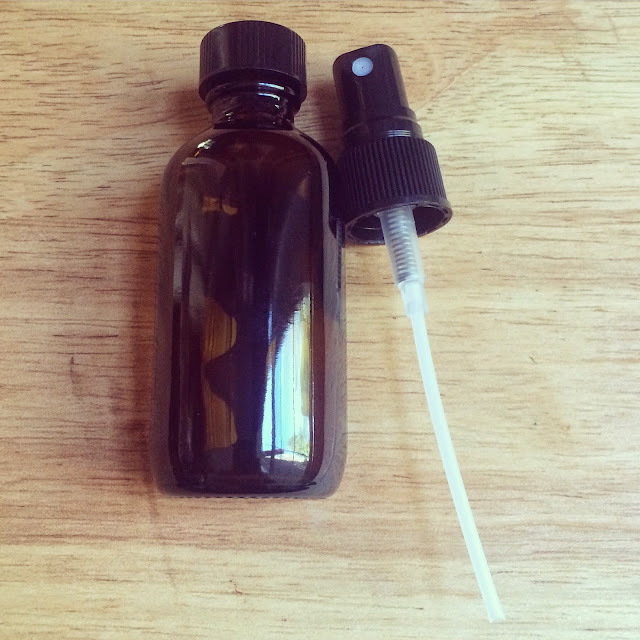 I decided to create an anti-blemish treatment serum. Mountain Rose Herbs offers the best Witch Hazel and Aloe Vera Gel. Just saying!! 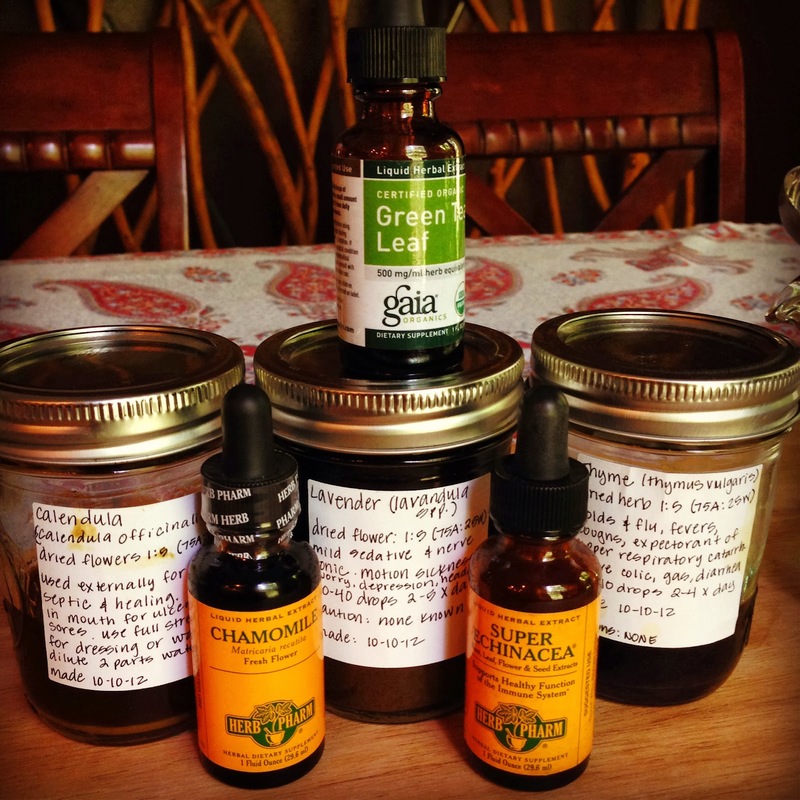 You can either make your own tinctures, buy them from Mountain Rose Herbs, Gaia Herbs or Herb Pharm. Pull out your tinctures and add 1/4 teaspoon of calendula extract, 1/4 teaspoon echinacea extract, 1/4 teaspoon green tea leaf extract, 1/2 teaspoon chamomile extract, 1/2 teaspoon lavender extract and 1/2 teaspoon thyme extract to your measuring cup. Mix well. 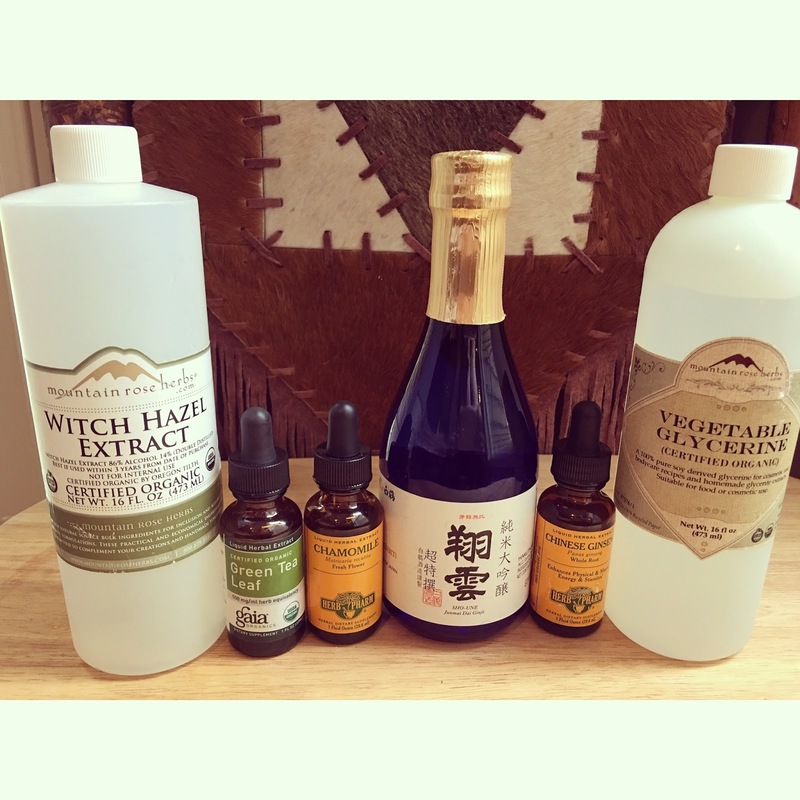 All of these tinctures are wonderful for blemish-prone skin. Make sure to buy Bio-Active Healing Honey. It is expensive, but is pretty good stuff!!! 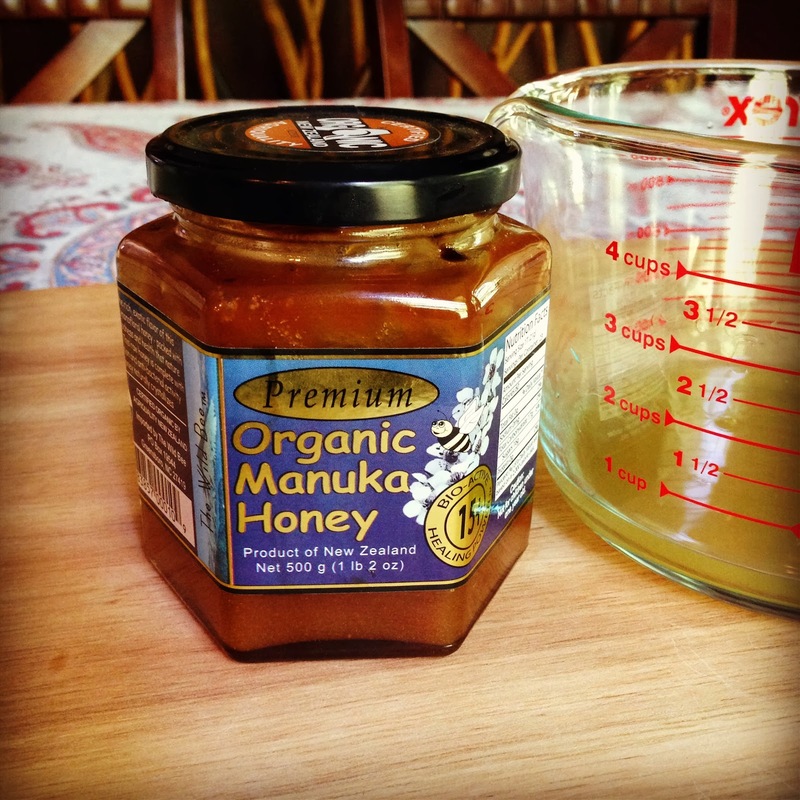 Stir in 1 tablespoon of organic manuka honey. Mix well. Xanthan gum can be found in the baking section. 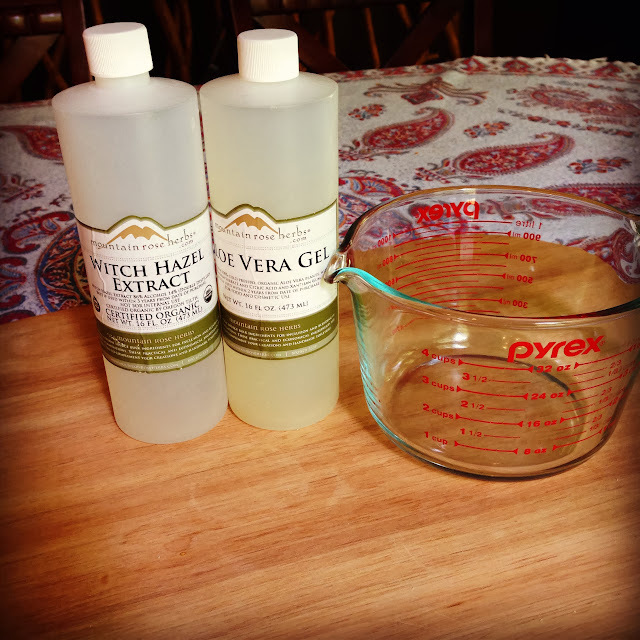 It is a great thickener and can turn liquids into gels. 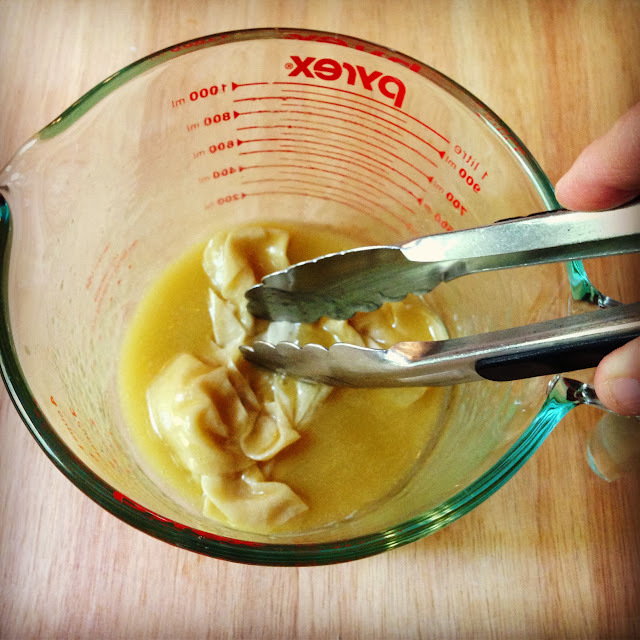 Thicken up the mixture by adding in 1/8 teaspoon of Xanthan gum to the mixture. This stick blender will help disperse the xanthan gum evenly. 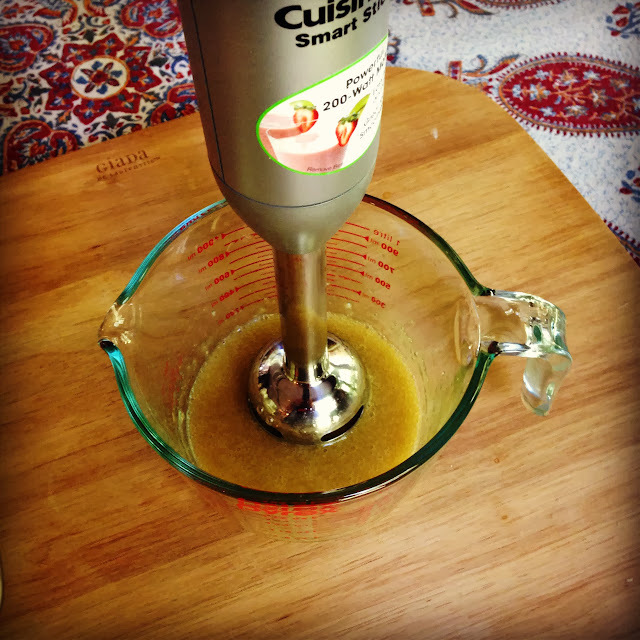 Use a stick blender and blend on high until the mixture is a gel-like consistency. 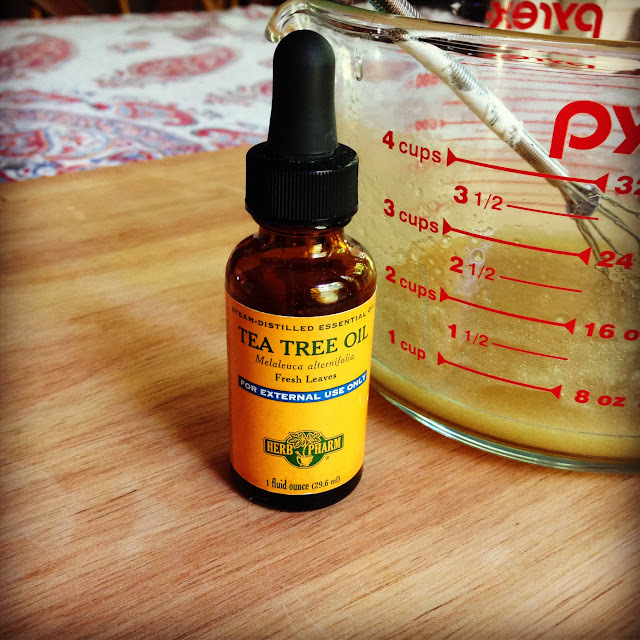 Mix in 2 teaspoons of Jojoba oil and 10 drops of Tea Tree essential oil. Stir well. Place your cloth face mask into the mixture and allow it to become fully saturated. 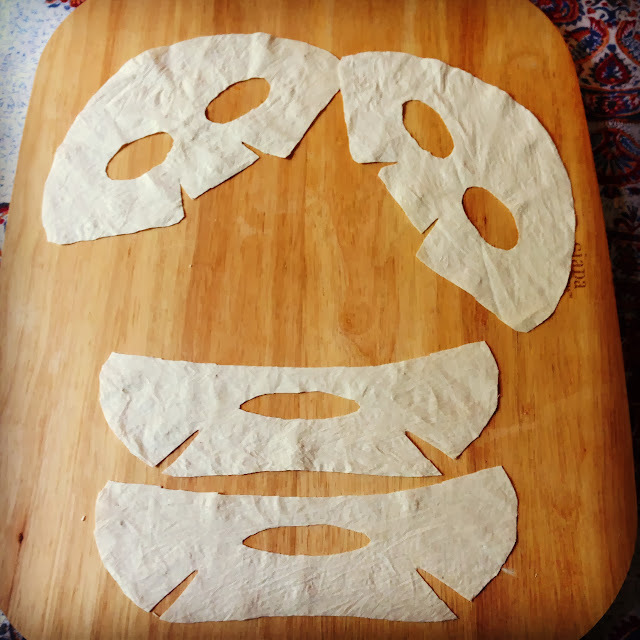 This recipe makes enough for three facials. Smooth the treatment infused face mask over your face and leave on for 20 to 30 minutes. Remove the cloth mask. Do not rinse your skin, simply massage in any remaining treatment serum. My face felt so refreshed after this treatment!! Gently rinse out your cloth mask in warm soapy water and rinse well. Air dry and use again and again and again. This recipe will give you enough treatment gel for three facials. Enjoy!! Stay tuned for more recipes to use with your cloth masks. I am totally LOVING the Homestyle Savory Chicken Bone Broth from Epicbar.com. I drink half a bottle every night before bed!!! 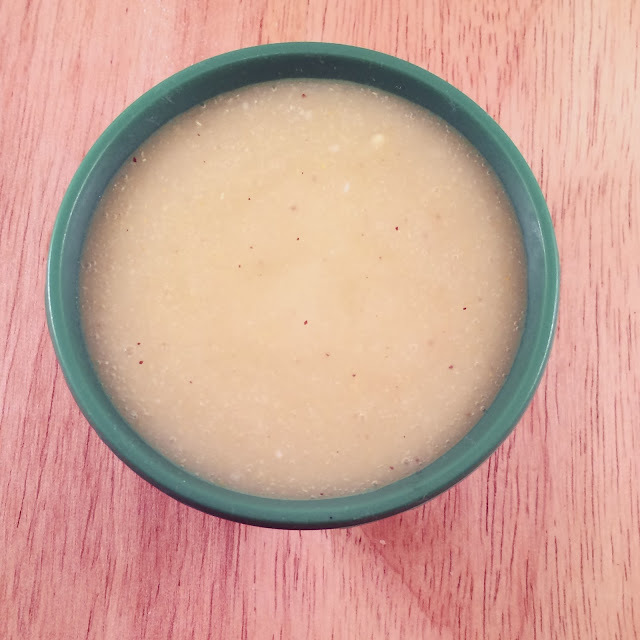 I am sure you have heard how nourishing and healthy bone broth is for your body. I used to make my own with a bunch of chicken feet and turkey neck bones but it takes almost two days and my house had a perpetual soup kitchen smell. It is much easier to just buy the ready-made bone broth. I like how Epic takes such pride in making their artisan bone broth the old fashioned way to extract the maximum amounts of collagen, minerals and gelatin. It is almost as good as what I make at home....lol!!! 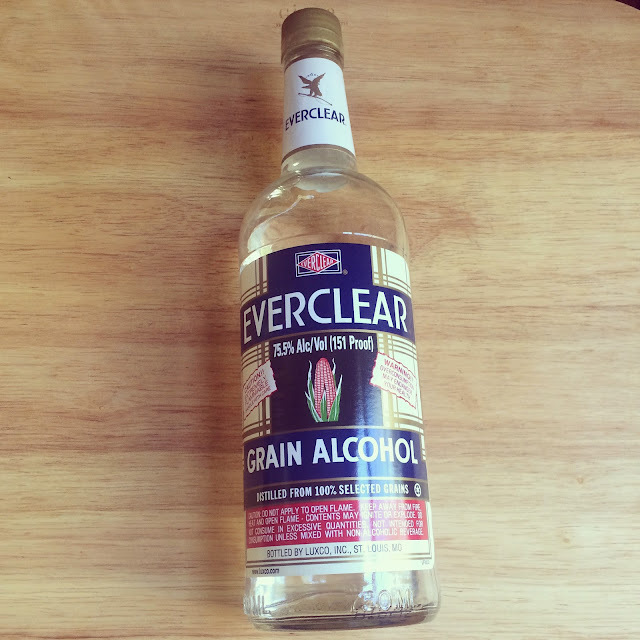 You can drink it straight from the glass bottle (you get two servings per bottle) or you can add it to soups, rice, mashed potatoes or braise your favorite meat with it. I have not been paid to talk about this company (heck, I don't think they even know about this blog post!!!). I just really LOVE this company and use a lot of their products!!! You can visit them at www.epicbar.com. Experience the best way to capture the intoxicating aromas of nature in this solid perfume blend. Spruce Solid Perfume is a captivating blend of steam-distilled Spruce essential oil, Rosewood essential oil, Frankincense essential oil and rare Blue Tansy essential oil. 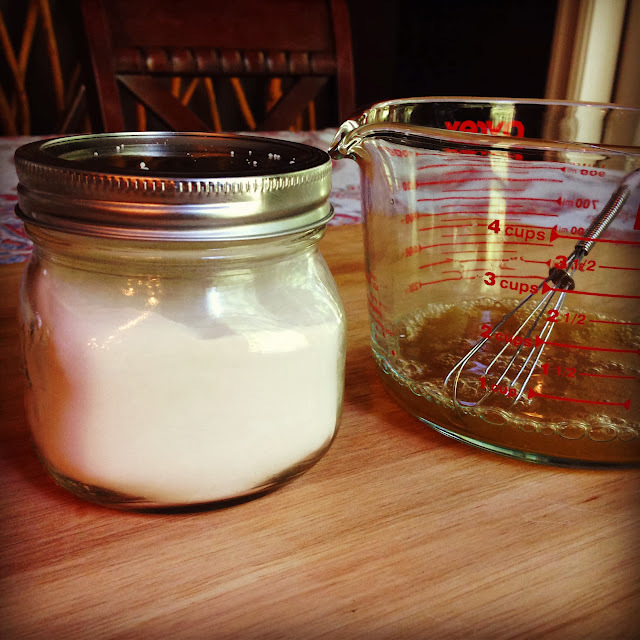 Spruce Solid Perfume is hand-poured into a portable glass jar. Dab fingers into the solid perfume and apply onto your pulse points (sides of neck, wrists, behind your ears). Mountain Rose Herbs makes a delicious Classic Chai tea blend. The taste is a deep, earthy and warming flavor that has a delicious aroma of spices and pure vanilla beans. You can brew it for up to ten minutes for the most beautiful amber color. It does contain caffeine. 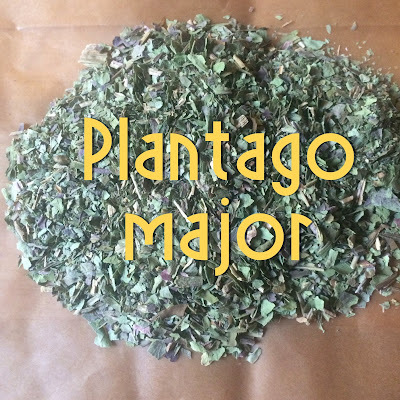 The ingredient list is amazing.....Organic Ginger root, organic Cinnamon bark, organic and fair trade Darjeeling Tea, organic Cardamom, organic and fair trade Cloves, organic and fair trade Nutmeg, and organic Vanilla bean. Leave it to Mountain Rose Herbs to craft the FINEST Chai tea available!!! You can visit Mountain Rose Herbs HERE. Finally a price saving, aromatic candle blended from the finest pure grade essential oils and made with a vegetable base as the wax. You will not find any paraffin, synthetic fragrances or petroleum products in these candles. Just the rich, aromatic experience that you deserve!!! Each candle comes beautifully packaged in a 3 ounce tin with a natural, lead free wick and has an approx. burn time of up to 25 hours!!! My favorite of the five scents is the Northern Forest!!! 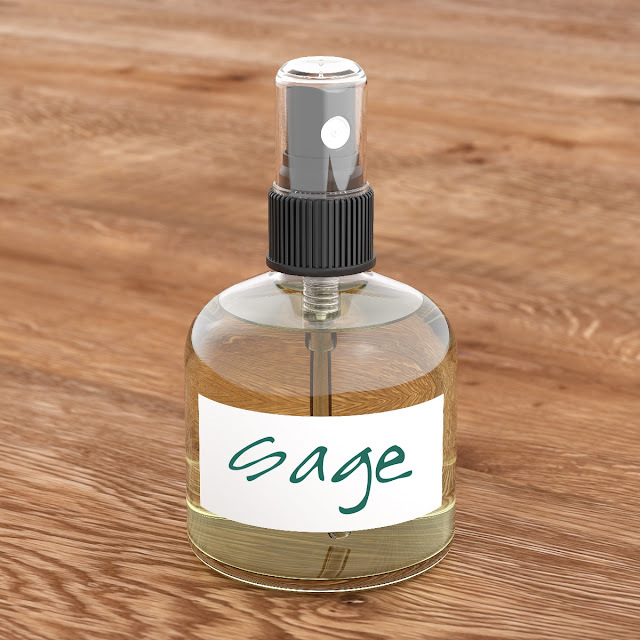 It is scented with essential oils of Spruce, Cedarwood and Fir Needle. You can purchase from Mountain Rose Herbs HERE. 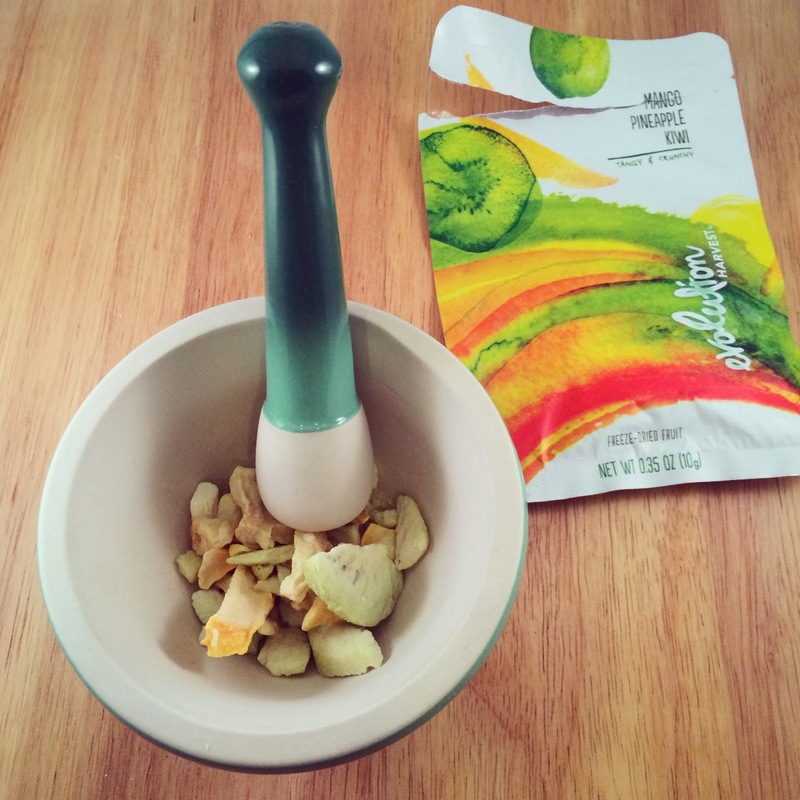 We all know how delicious and nutritious mango, pineapple and kiwi are! They are just as good for the top of your skin. Loaded with anti-aging and clarifying magic, these super fruits are antioxidant rich and high in vitamin C. When used in an exfoliating sugar scrub for your face and body, you will be on your way to glowing and radiant smooth skin. 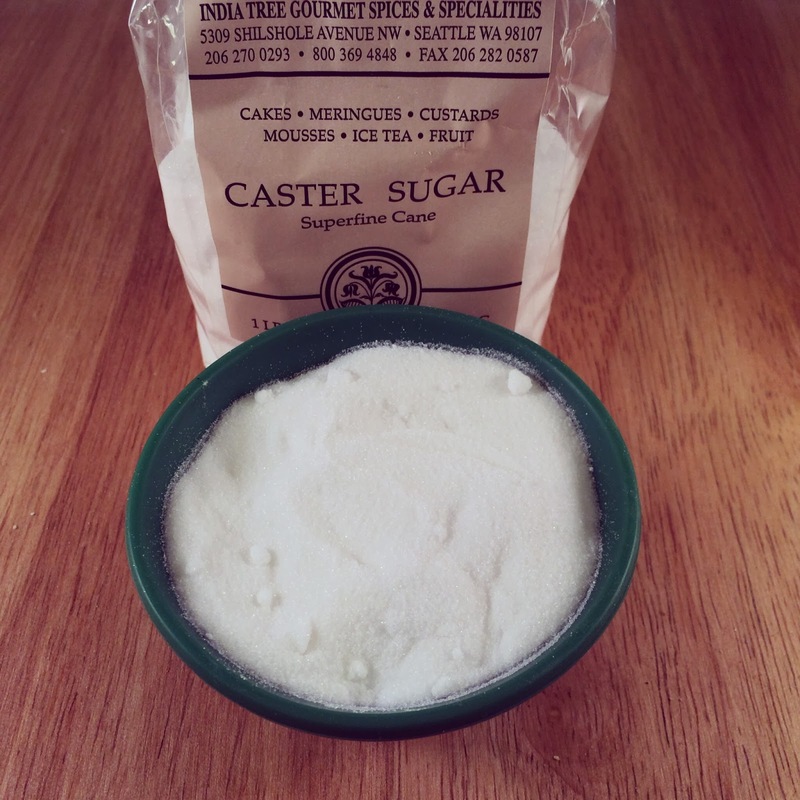 Make sure you only use superfine or caster sugar. 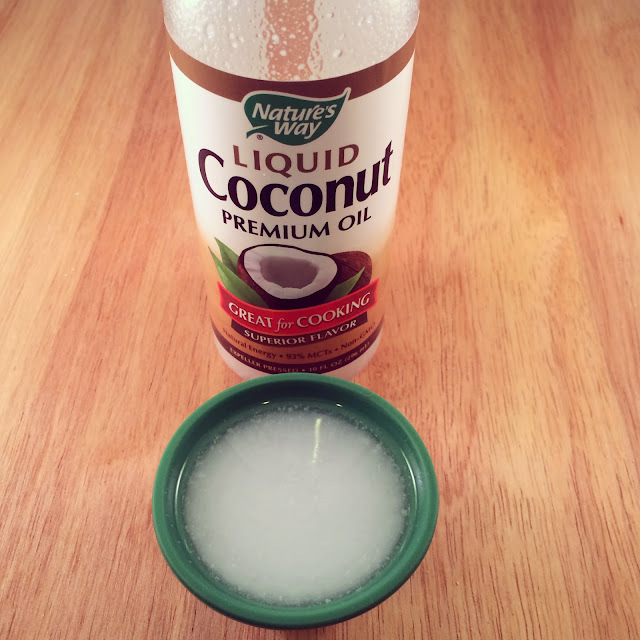 I chose liquid coconut oil since there was the tropical thing going on with the fruit. 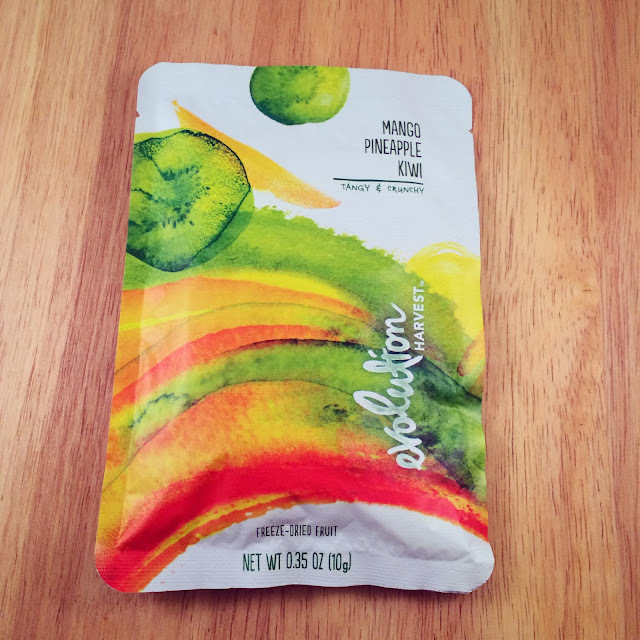 Oh, speaking of the fruit.......I used a 10 gram package of freeze-dried mango, pineapple and kiwi fruit. Freeze dried fruit has had all the moisture taken out and you don't have to worry about it going bad or melting your sugar like the fresh fruit would. You can choose to use any variety of freeze dried fruit....strawberries, blueberries, mango, you name it!!! Finely grind the fruit into a powder. 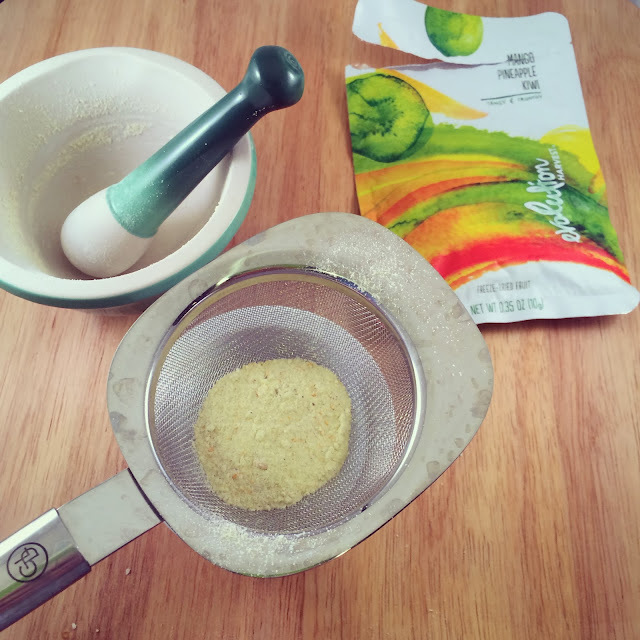 Sift the powder to remove any stubborn tiny mango pieces that may remain. The powder needs to be super fine so it it will not scratch your delicate skin. You will need 1/2 cup of superfine sugar which is also known as caster sugar. 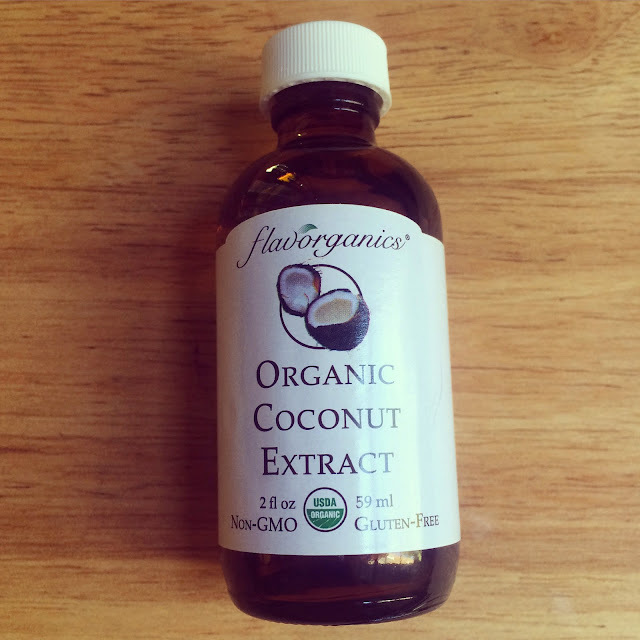 You will need 1/4 cup, plus one tablespoon of coconut oil. 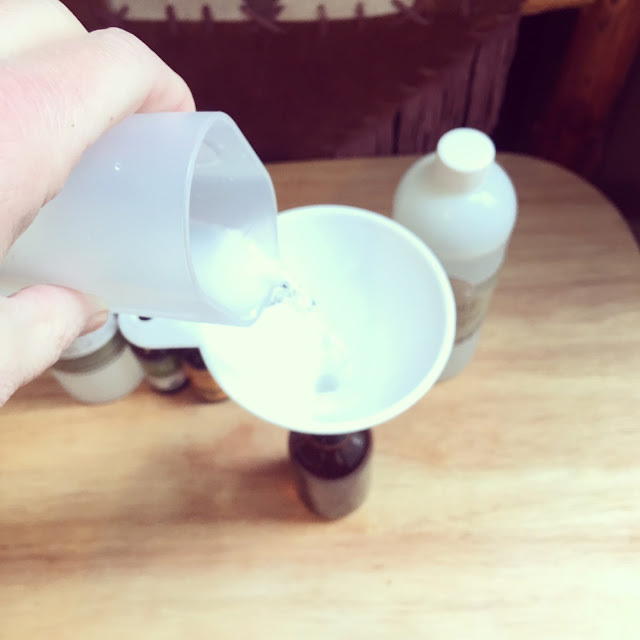 I used liquid coconut oil which is normally crystal clear, but as you can see in the photo above, it was cloudy since it was rather chilly in my house. You can use regular or liquid coconut oil. 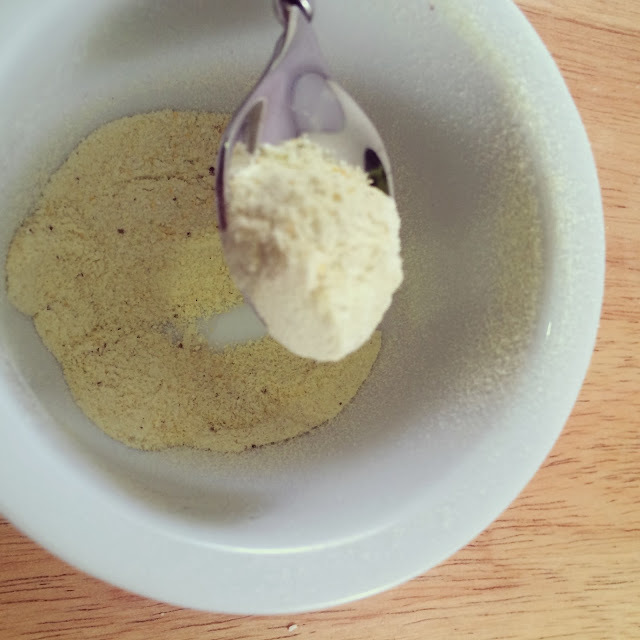 Combine the freeze-dried fruit powder, sugar and liquid coconut oil into a small bowl and mix well to combine. 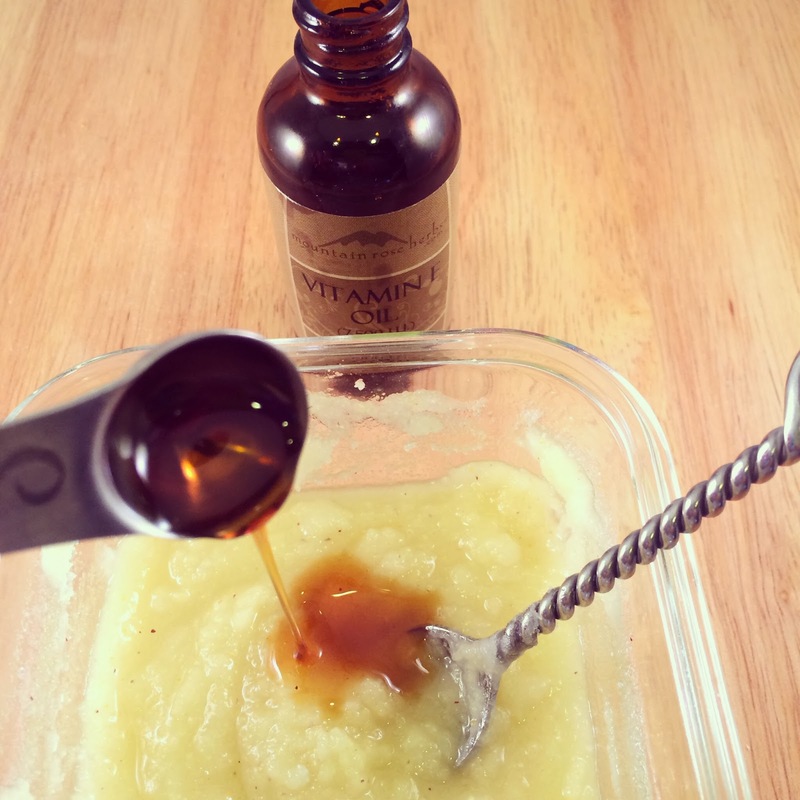 Stir in 1/2 teaspoon of Vitamin E Oil. 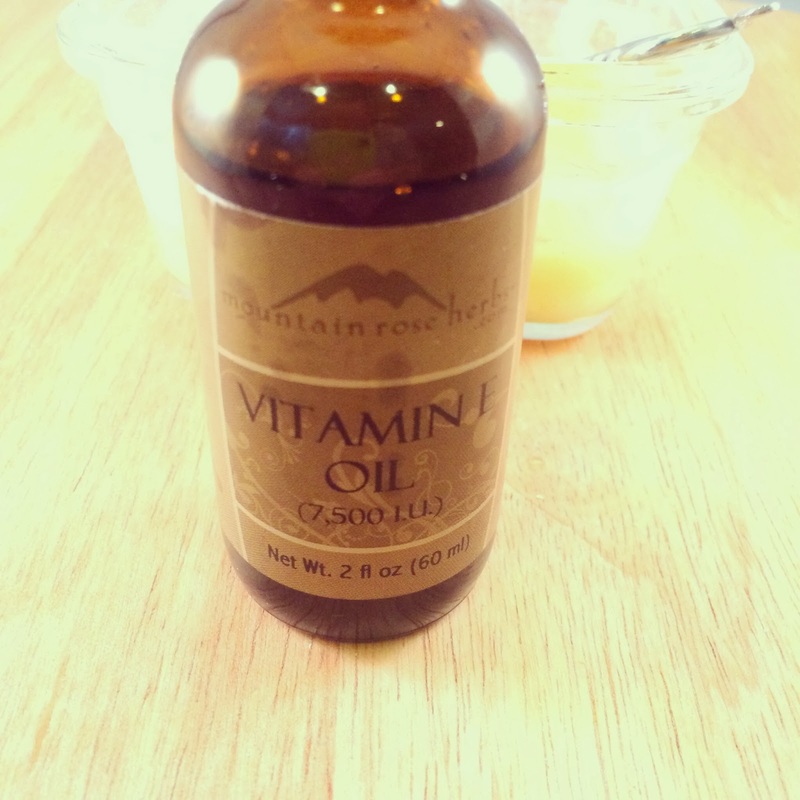 I get my Vitamin E Oil from Mountain Rose Herbs. It is made from NON-GMO Soy Sources!!! Click here to be taken to Mountain Rose Herbs for a look around. To use the scrub: moisten skin and massage a generous amount into the skin using gentle circular motions until the sugar has dissolved. Leave on for 5 minutes and then rinse away with warm water. Avoid eye area. 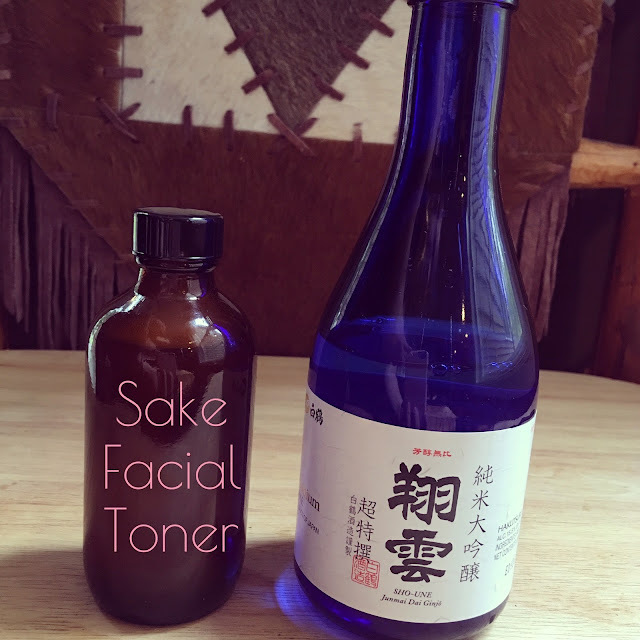 This recipe is enough for at least 5 facial applications or 2 body applications. Bless my son's heart (and his super dry hands)! He ordinarily gets super dry scaly skin around this time of the year and I can help him keep it under control with one of my herbal infused skin salves or creams. Unfortunately, while he was fishing (without me) he did not apply any hand cream for three days. His sweet little hands were exposed to cold water and cold temperatures. I almost cried when he got home and showed me his hands. They were so dry, inflamed and even cracking. Last night I stayed up until 11:00 pm making him a skin cream. I basically just threw this recipe together with what I had on hand and was hoping it would turn out good. Thankfully, it turned out REALLY good!!! I snuck upstairs and massaged it into his hands while he slept. 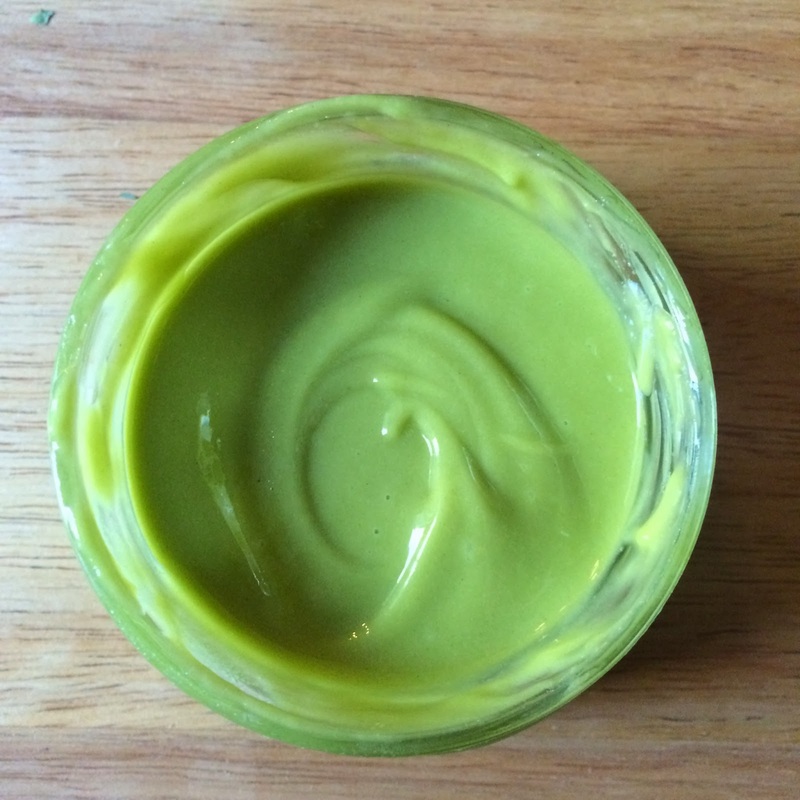 I hate eczema and dry skin and decided to call this recipe Green Goddess Comfrey & Plantain Skin Cream since it is a beautiful light green color and just like a Goddess, it is protective and promotes healing. My recipe does not have any water in it. 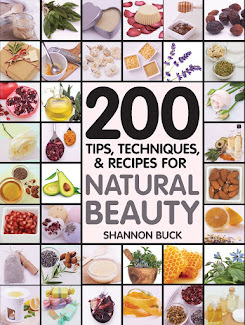 No water means you don't need a preservative, and it is more concentrated without water. I used plantain, comfrey leaf and comfrey root infused olive oil, Shea butter, beeswax, cocoa butter, Vitamin E oil, and a blend of essential oils that are very soothing to dry skin. 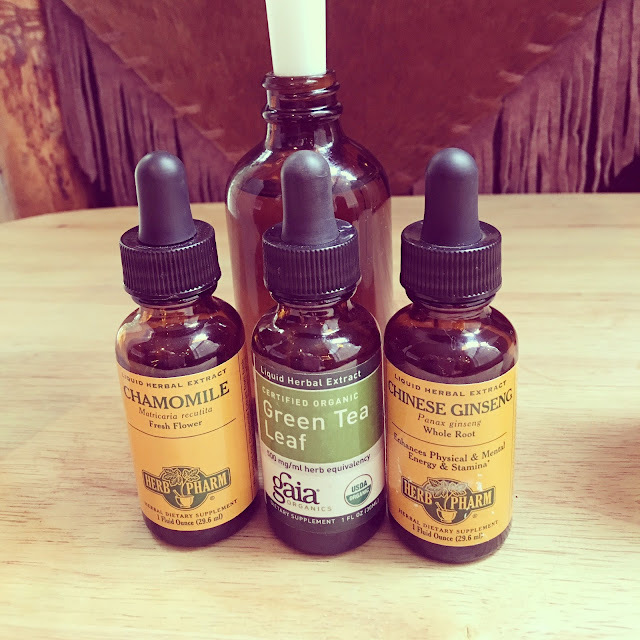 My essential oil blend includes Blue Chamomile, Bulgarian Lavender, Rosemary, Cedarwood Atlas, Juniper Berry and Patchouli. If you need a tutorial on how to infuse herbs into oils, click HERE. 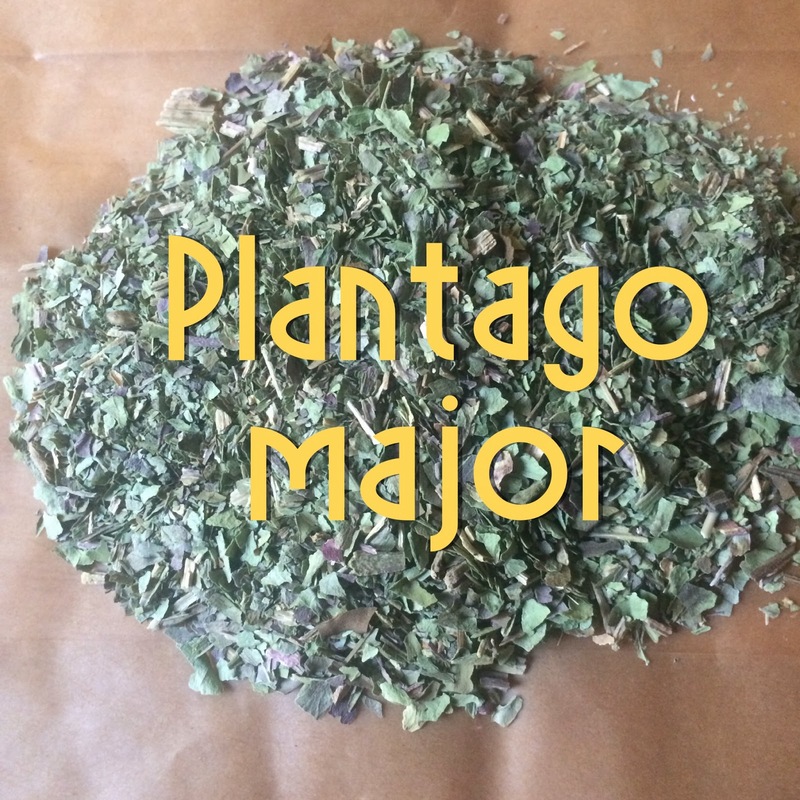 You can order Plantain (Plantago major) from Mountain Rose Herbs. They carry high quality Certified Organic. Click HERE to be taken to Mountain Rose Herbs website. Plantain Leaf has a high amount of skin healing allantion. Allantion is known to be very soothing for skin with eczema and may help support the body's natural healing of eczema. 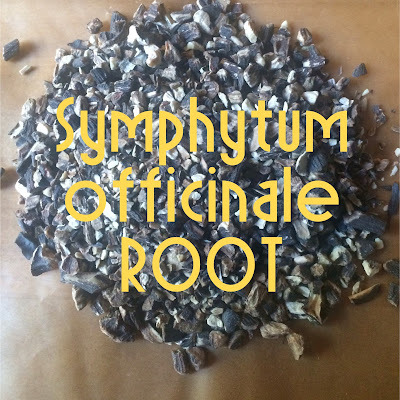 Mountain Rose Herbs offers Certified Organic Comfrey Root. 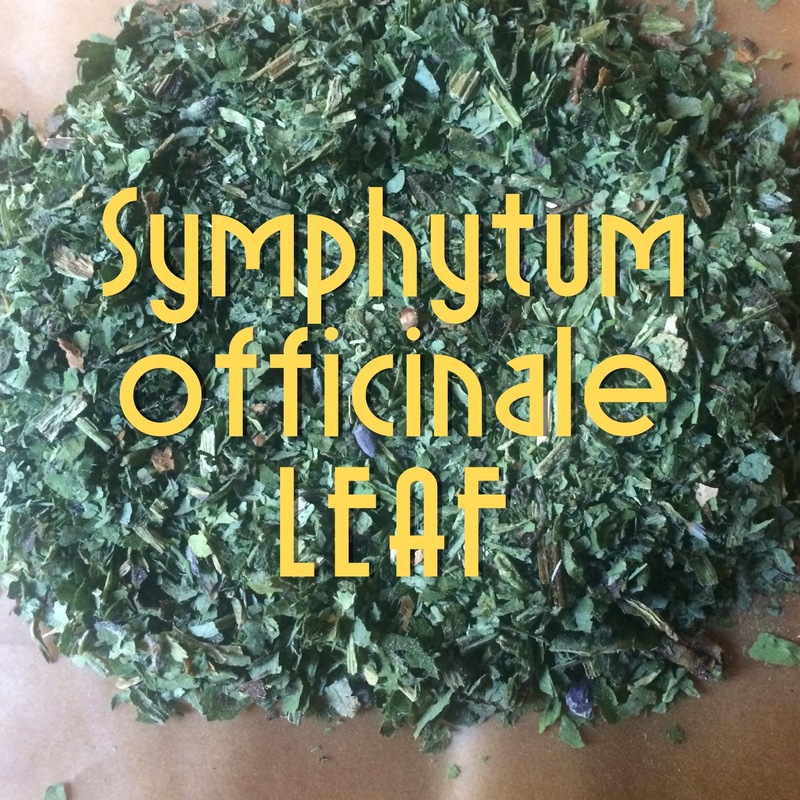 I like to use both Comfrey Root and Comfrey Leaf in my herbal infused oil. 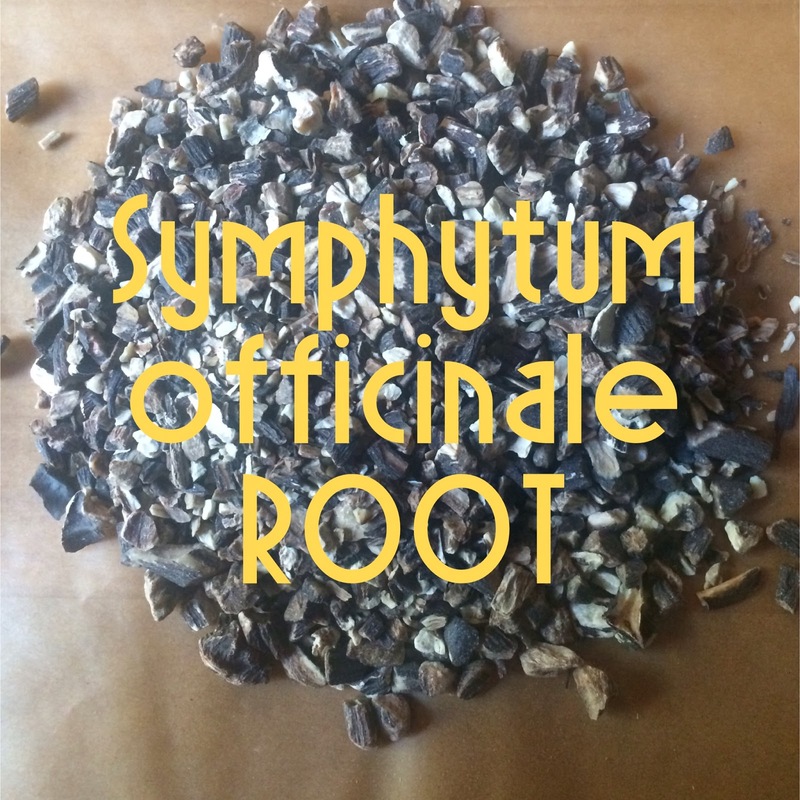 It is one of the best herbs at promoting healthy skin and is well known to support the body's ability to heal wounded skin. Just like Plantain, Comfrey has a high amount of allantoin. 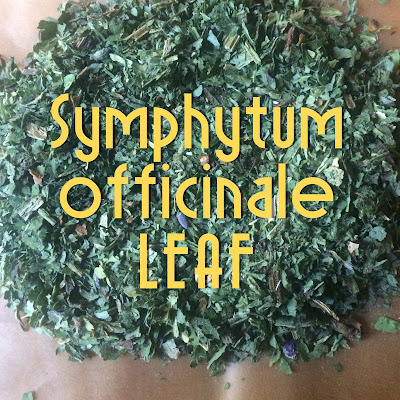 Comfrey leaf has been used around the world in making dermal applications such as pastes, ointments, poultices and salves. Add the grated beeswax, Shea butter and cocoa butter into a glass measuring cup and place in a pan of simmering water until melted. Once melted remove from the heat and add in the plantain/comfrey infused oil, vitamin E oil and the essential oils. Cover and allow to cool and harden. Once hardened, whip to a creamy consistency with a hand-held mixer. Transfer to a sanitized container with a lid. Apply as needed. Do not eat!!! 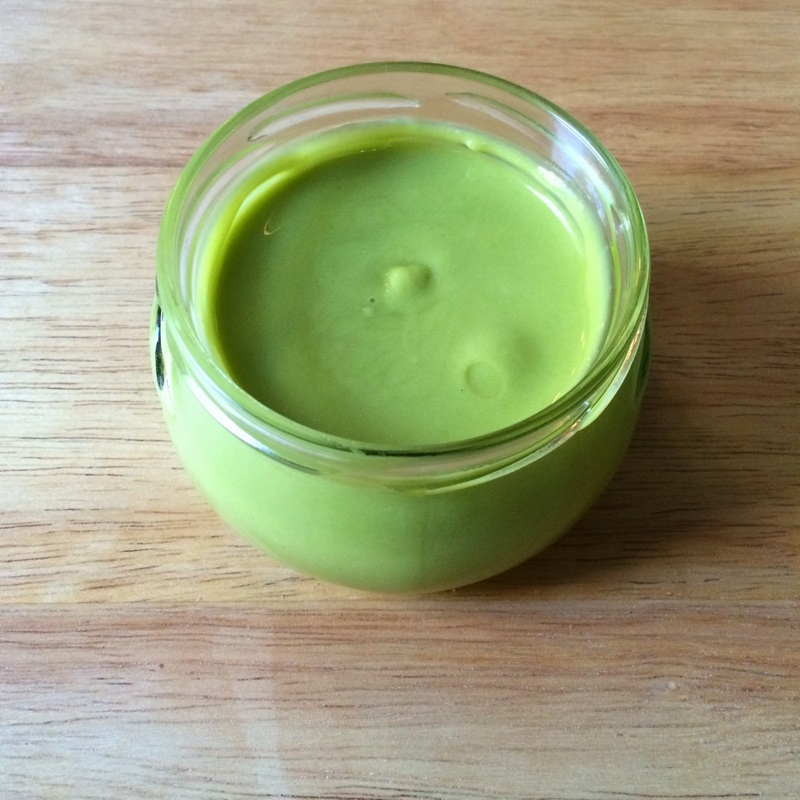 The finished product is light, creamy and absorbs very well into the skin. Enjoy!